We insure our cars, house, holidays, and sometimes even the family pet(!!) but many of us are slow to insure what is most important: Ourselves and our families. It is a policy that will pay out a lump sum if the person covered dies during the life of the policy. Protecting your family with life insurance is one of the most important financial decisions you can make. With life insurance, if you or your significant other dies, your family would get a lump sum or a regular income. This could help maintain their standard of living, help put your children through school or college, and relieve some of the additional pressures which arise on premature death of a family member. You may ask why you would pay to insure yourself for something that you hope will never happen (at least for a very long time!!). Think of it this way, when you insure your car or house, you do it in the hope you will never have to draw on the policy BUT it gives you peace of mind knowing you have cover in place should something go wrong. You take out life assurance for exactly the same reason: peace of mind and a fall back should the unthinkable happen. If you have any queries on either taking out life assurance for the first time or would like to review your existing policy. 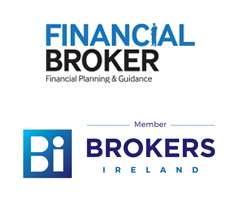 Call us today on 0749321420 or email us on info@mlmgfinancial.ie.